Cuppy cakes made of gold and the sweat of a thousand Olympic athletes. My celebration of the Olympics officially started Friday night, when me and a bundle of my friends got together to watch the opening ceremony. I thought that everything about the ceremony was wonderful and beautiful, except the part about the interwebz. That part was weird and long and boring. My favorite parts were the grand entrance of the Queen, escorted by James Bond, aka Daniel Craig. I also thought that the giant blow-up Voldemort was simultaneously terrifying and amazing, that the molten Olympic rings were THE BEST AND MOST MAGICAL, and that Kate Middleton looked beautiful all 214 times they showed her and Willz whispering secretively to each other. 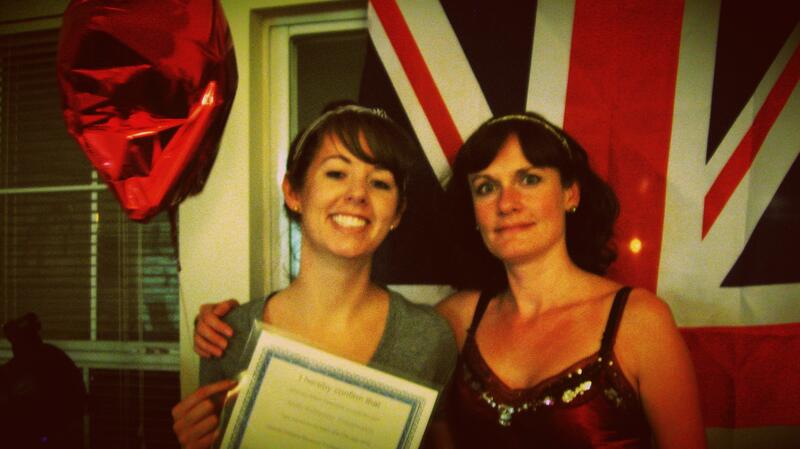 Victoria let me be British for a day. Saturday we watched the Olympics all the livelong day. I was happy to hear that Ryan Lochte won a gold medal (and wore a red, white, and blue grill to celebrate), but sad as a Phelps Phan to see Michael Phelps eff it up big time. 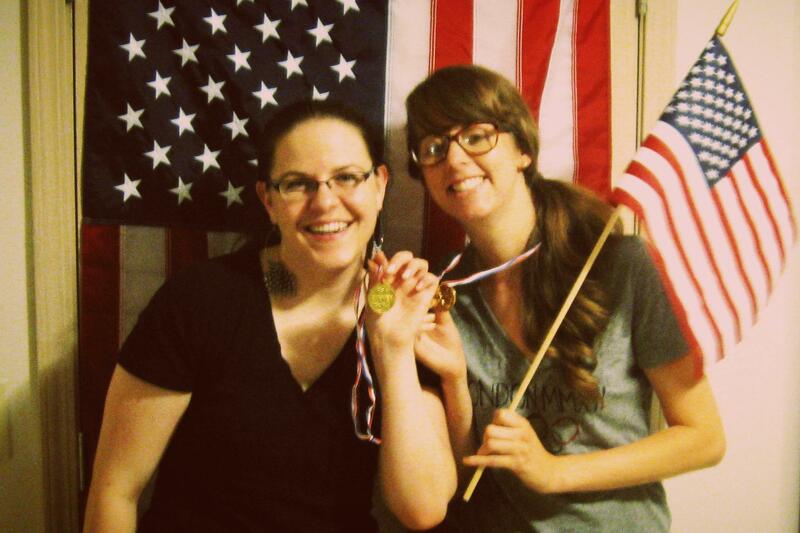 And of course we won our own gold medals in the QWOP, Mario Kart, and Olympic Trivia competitions. Reppin’ the USA and raisin’ the medal count. What was your favorite part of the opening ceremony? Did you win any gold medals or eat any gold-encrusted cuppy cakes? I loved the forging of the rings, but Rowan Atkinson was definitely my favorite part! 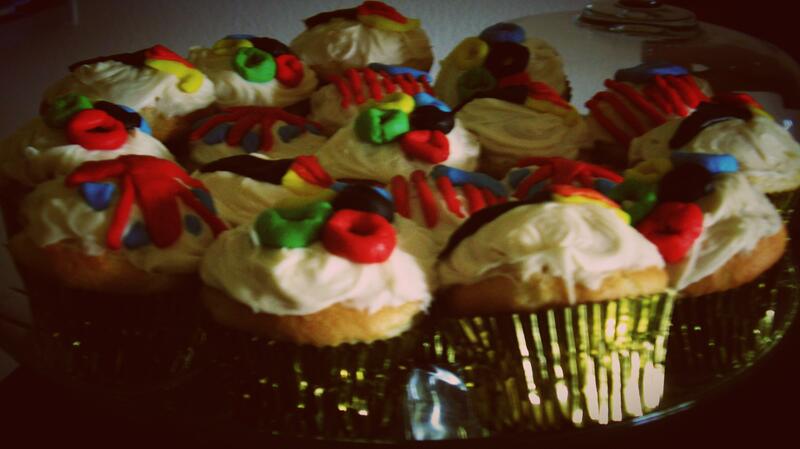 I won all the gold medals and ate one cuppy cake. I love the Queen. Utterly.